Summary: Digital payment channels are becoming faster and more convenient but fraud is a big concern. What your bank should know. 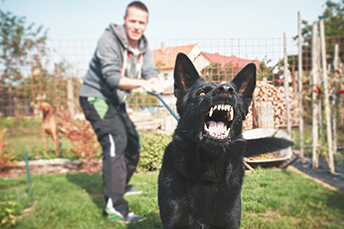 A new study by UK researchers looked at people who are bitten by dogs. It surfaced some interesting information, such as: people are usually bitten by dogs they don't know vs. their own dog; men are almost 2x more likely to be bitten than women; people who own multiple dogs are over 3x more likely to get bitten than those wo do not own a dog; there are about 18.7 dog bites out of every 1,000 people in a given year; and people who have anxiety or are nervous are more likely to get bitten than those who are calm. Now that you know the facts, enjoy all of the good dogs, as you seek to avoid those 18.7 ill-tempered ones running around out there. Woof! Digital channels are becoming faster and more convenient to use and that is nothing to bark at. After all, this is good news for community bank customers and community banks too. That said, there are some risks as well. A recent survey by Aite Group found new digital innovations in payments are making it more difficult for banks to keep up with fraud detection. When asked about the impact of same-day automatic clearing house (ACH), person-to-person (P2P) payments, and other innovations, 42% of banks said the new methods were having significant impacts on fraud detection. Another 5% said it was having a major impact and 33% said they were seeing no impact. The results are based on a 2017 survey of 28 fraud and digital channel executives at banks with more than $25B in assets. If those large banks were having trouble keeping pace with fraudsters roaming their digital channels, you can bet the problem exists among community banks too. Not surprising, digital business methods that are fast and convenient seem to be especially attractive to cyber crooks. The slower, traditional ACH methods can take four or five days to clear a transaction, leaving a bank time to thoroughly examine it for potential fraud. However, same-day ACH can turn around a transaction in as little as two hours. That's barely time for a bank to start its fraud detection process, much less uncover a questionable transaction. No wonder bank security experts are predicting a rise in fraud attacks against banks as transaction clearance speed accelerates. Why the hurry to clear transactions? In a word, demand. One bank security consultant offered several reasons behind the demand for speed. Business accounting departments want faster clearance of payroll checks. Businesses want faster clearance of business-to-business payments and customers want faster money transfers between accounts. In short, parties to a transaction would rather not wait days to see payments cleared if it's possible to do so the same day. There are a number of things that can reveal fraudsters at work, some of which you may recognize. For example, if a customer who has a history of transferring $1,000 between accounts, suddenly issues a transfer of $5,000, that can be an issue. In another example, a newly opened account that is quickly funded and used to make a large withdrawal might be the work of thieves as well. To fight the rise in fraud attempts that is predicted with the rise of same-day ACH and fast P2P payments, community banks should evaluate their security systems regularly. Detection methods must keep pace with the rapid turnaround of same-day payments and that is not an easy task. No matter what, transactions are speeding up as technology advances, so get some good guard dogs to keep the thieves away. Amazon already lends money to small businesses by analyzing customer sales flows through its platform. Now Amazon is expanding its reach into small businesses by launching a delivery service that will reportedly compete with FedEx, UPS and the Post Office. The nominee to lead the FDIC, Jelena McWilliams, said she would give ILC applications "appropriate consideration," giving hope to fintech companies seeking to use these charters to enter the banking industry. ILC charters often have non-bank owners and do not require Fed oversight. The Financial Brand reports Raddon Research finds community bank usage by generation is as follows: Boomers (23%), Gen X (22%), Millennials (17%), Gen Z (12%). This compares to usage of Megabanks for each one as follows: Boomers (37%), Gen X (41%), Millennials (39%) and Gen Z (47%). Forecasters surveyed by The Wall Street Journal expect the Fed will raise rates at least 3 times this year, GDP will rise to 2.8% and the unemployment rate will decline below 4.0% by Q2.